This handwriting activity is perfect for kids who are working on letter formation when writing. 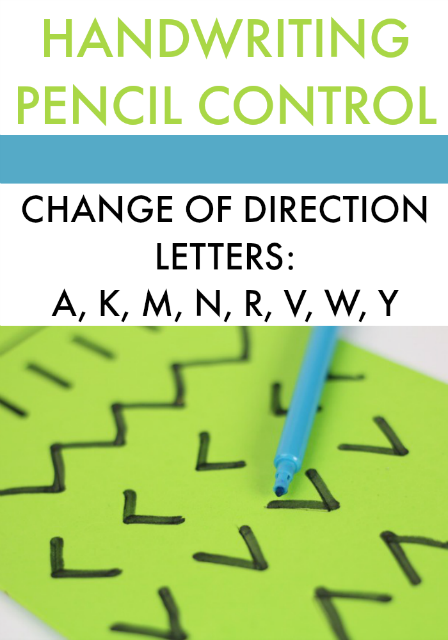 Specifically, it's an easy handwriting activity and an exercise in direction change that is necessary for letters with angles (A, K, M, N, R, V, W, Y) that require the child to use precision of pencil control. We used foam sheets as a tool for helping kids develop the motor plan necessary for improved pencil control in direction change when writing and forming letters. When kids write, they sometimes don't notice the specifics of letter formation. The faster they write, the more those details of letter formation diminish. 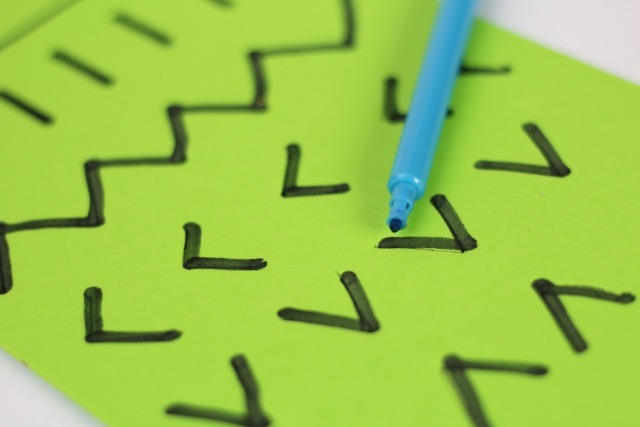 When a child needs to write a creative writing assignment or a complete a writing prompt that requires creative thought, often times letter formation lags. Kids who demonstrate fair to good letter formation when writing one-on-one with a therapist or teacher but then can not seem to carryover the skills into the classroom environment would benefit from this activity. The foam sheets are an effective tool for helping kids develop the motor plan needed for change in direction when writing with a pencil. 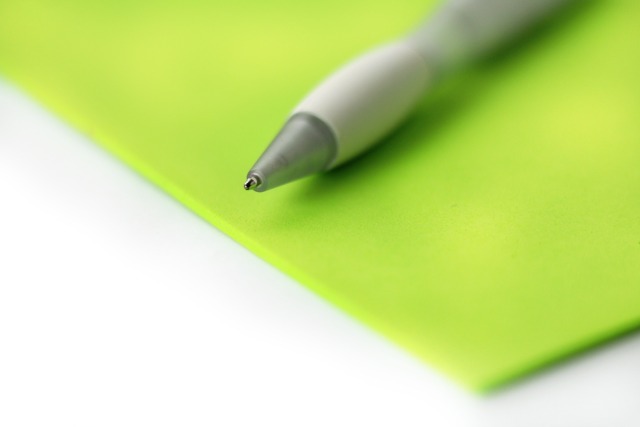 The foamy surface of the foam sheets provides resistance and feedback through the pencil as writing strokes are formed. Children are able to write at the appropriate size for their age and development. Preschool aged children can practice motor control in pre-writing strokes. Kindergarten students can work on the changes in direction that make up the letters described above. 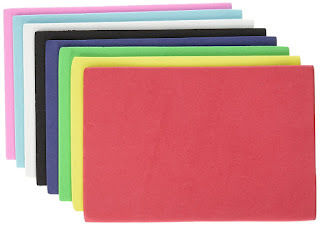 Older kids can practice a smaller version of letters on this foamy surface. Writing on the foam provides proprioceptive input through the pencil or pen and allows kids to form letters with resistance. unlike writing in play dough or clay, the writing utensil strokes are more consistent and accurate. When preparing this handwriting activity, therapists or other adults can form the letters into the foam with increasing or decreasing amounts of pressure. The "letter guide" that is formed can provide various amounts of physical prompting to the student as they form parts of the letters. Additional cues can be provided by tracing over the letters or forms with a black marker. This provides high contrast markings for increased visual cues. RELATED TOPIC: Read more about precision in fine motor tasks. Kids can practice letter formation needs with this open-ended handwriting tool. 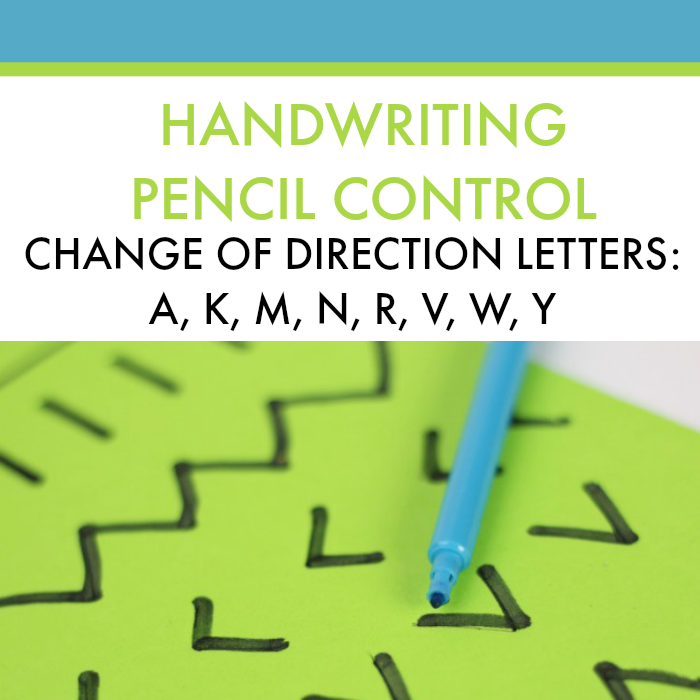 Some children form letters with a change in direction with a seemingly disregard for how their pencil strokes connect. Other students write quickly and use inaccurate letter formation that affects legibility. Work on the angles of letters such as a closed top to the letter "A", a slant in and out for the letter "K", and pencil lines that connect when forming a letter "R". 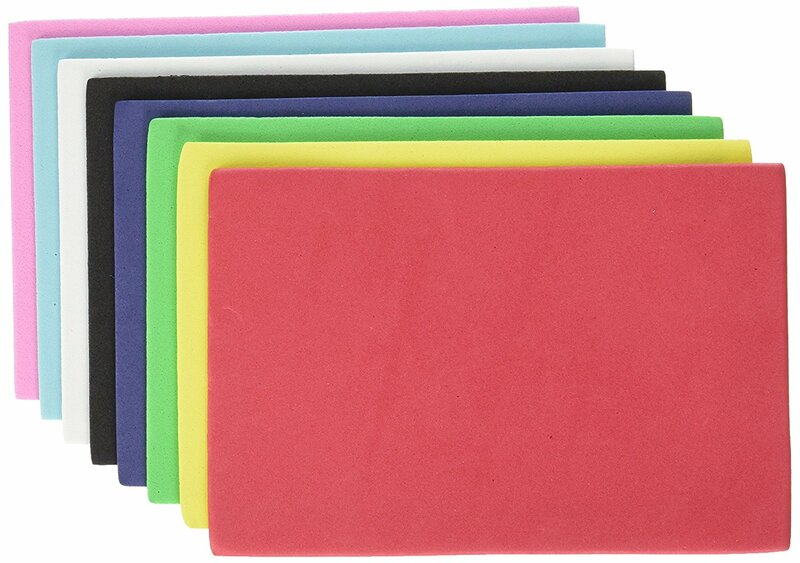 To prepare the foam sheets, you'll need a ball point pen. An adult can write the letters, letter parts, or pre-writing strokes on the foam sheet. Apply more pressure to the pen for more physical cues for the child. If needed, trace over the forms with a marker. Next, ask the child to use a pencil, pen, or marker to trace over the lines. As they trace the forms or letters, ask them to slow down their writing speed and to notice how the pencil strokes touch (if forming a complete letter or an angle). 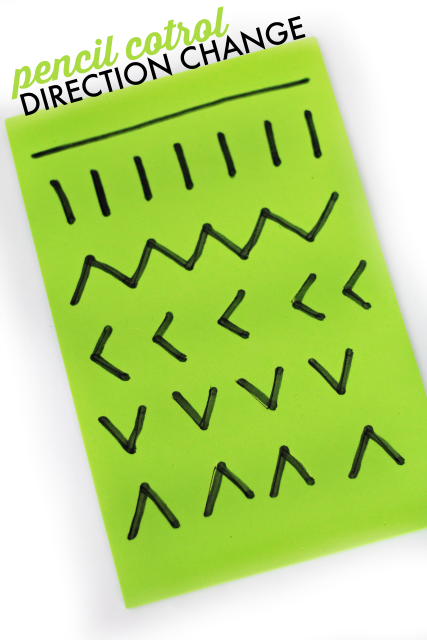 This handwriting tool is great for helping kids with many different writing needs. Let me know if you try this easy handwriting activity. I would love to see your version! Find more easy handwriting activities each week in our new handwriting series. You can also join the Sweet Ideas for Handwriting Help Facebook page.